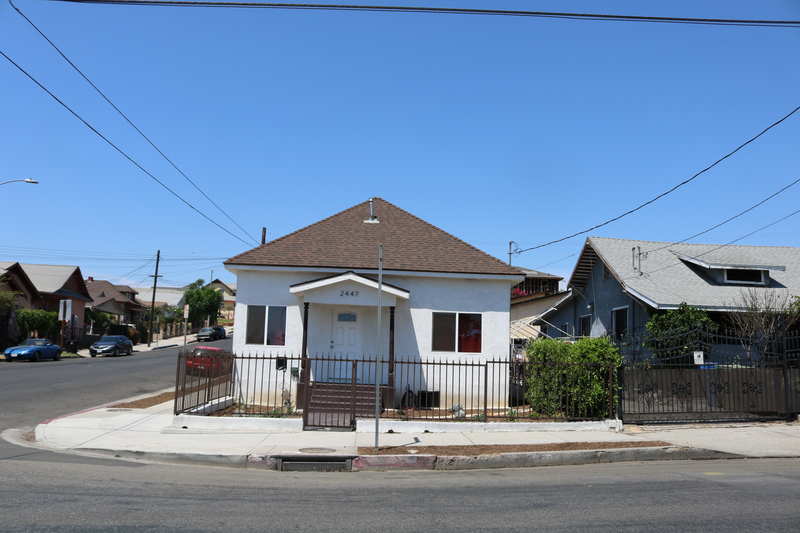 With its accessibility to Downtown and the Arts District, the housing market in Boyle Heights is undoubtedly booming. Interest in local housing stock, according to various reports, is pushing the median price of houses sold in the neighborhood to new highs. Home listed for sale at $479,000. 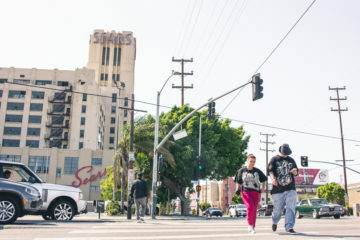 The Los Angeles Times recently compared what $475,000 will get you in four different Los Angeles county neighborhoods –Boyle Heights among the four. 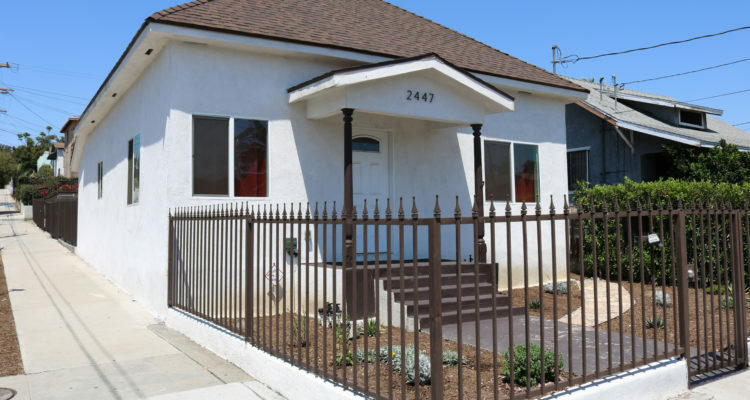 It found a small, stuccoed corner house at 2447 E. 7th St., 90023, listed for $479,000. According to the paper, the 1913 home was recently remodeled to bring it into the 21st century. Its features include two driveways, a landscaped front yard and an updated kitchen. The Times cited CoreLogic numbers that show that, based on eight sales, the median sales price for single-family homes in May in the 90023 zip code was $411,000 –up 12% over the last year. Looking at Boyle Heights as a whole, real estate company Trulia says home prices in the neighborhood have been on a steady rise for the past five years. The type of homes that have seen the highest price increases in the neighborhood –according to Trulia– are the one-bedroom and four-bedroom homes. The average listing for a one bedroom is now around $427,500, up from $345,000 last year and up 23.7% from five years ago, when it was $180,000 dollars. The current listing for a four-bedroom home is now $950,000 dollars, up from $692,500 last year. The four-bedroom home price has seen a 37.2% increase from five years ago, when it was only around 190,000 dollars. 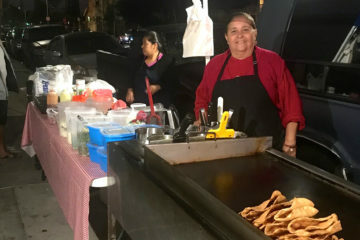 Local groups complain that the increase in sales prices is directly related to the ongoing gentrification of Boyle Heights.